Yesterday, the Internet was whipped up into a frenzy over the news that director Andrew Stanton had developed an idea for a follow-up to his Oscar-winning Finding Nemo. Deadline reported that Stanton had worked out a deal with Disney where if he directed Finding Nemo 2, the studio would allow him to direct a live-action film. The big news took over Twitter yesterday, becoming a top trending topic for much of the day, and generated thousands of comments across the web. Stanton stayed quiet on the speculation until late yesterday when he tweeted a semi-response. Find out what he said after the break! It seems that whenever a source like Deadline or The Hollywood Reporter publishes a story, the instinct is to believe rather than question – is it a development of Internet culture or just a common characteristic of our generation? In this case, Deadline has two main stories here – 1) Stanton has developed a story concept he really likes for a Finding Nemo sequel; 2) He agreed to direct it in exchange for a chance at directing another live-action film for Disney. When Stanton tweeted yesterday, did he mean to say that both of these stories are false, or that only the first is true? At this point, we can’t say. All we know is that something here is less than accurate, according to Stanton. The accusation that he only developed a sequel idea for Finding Nemo so that he could direct another live-action film is a very serious one – it is aimed squarely at Stanton’s integrity. In the many examples of sensationalistic reporting that we have seen, is this accusation yet another instance? I can see why Stanton may be disappointed with the numerous articles and posts that came about in the last 24 hours – many of us (writers and readers) were willing to declare the news as fact, rather than allowing the story to be proven as factual. Whether or not any of the Finding Nemo 2 reports are true, I think Stanton’s point is that “True until proven false” is not how we should operate when the “truth” is based upon a third-party source. Nothing has been officially announced by Disney or Pixar, so until then, what we say on these two stories is pure speculation (no matter who Deadline and THR’s source is). Like Andrew Stanton said, do not believe every story you read is reporting cold-hard facts (yes, including this post). 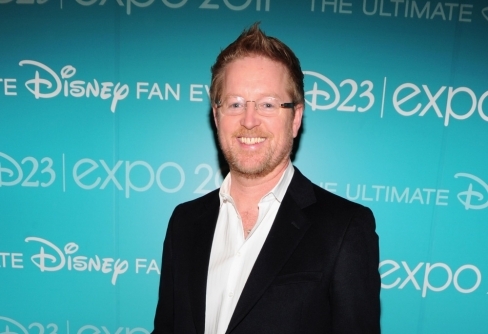 What do you think about Andrew Stanton’s tweet? Do you think we believe what we read all-too easily?